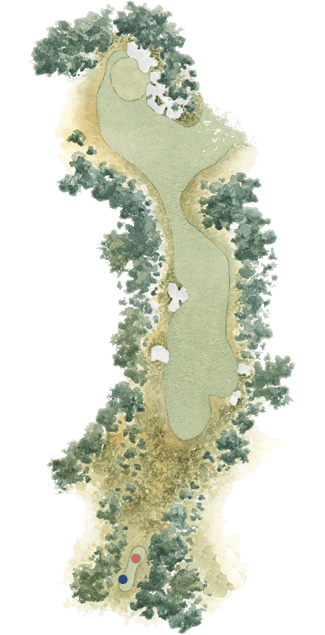 The long par-four eleventh is the quintessential strategic dogleg. Two fairway bunkers on the left of the fairway guard the perfect tee shot line to the hole. The first of these is only 150 metres from the tee and the second can only be carried by the longest of hitters. The fairway stretches out wide on the right, but for every metre the ball is pushed to the right off the tee, the approach to the green becomes more difficult.